The Bavarians prevailed in the round thanks to goals from Thiago, Gentner in own goal, Goretzka and Lewandoski. The Polish missed a penalty. He had to suffer Bayern against a brave Stuttgart, but finally returned to take forward a game that allows to continue dreaming of tracing the six points that follow separating him from Dortmund and raising his seventh consecutive salad bowl. 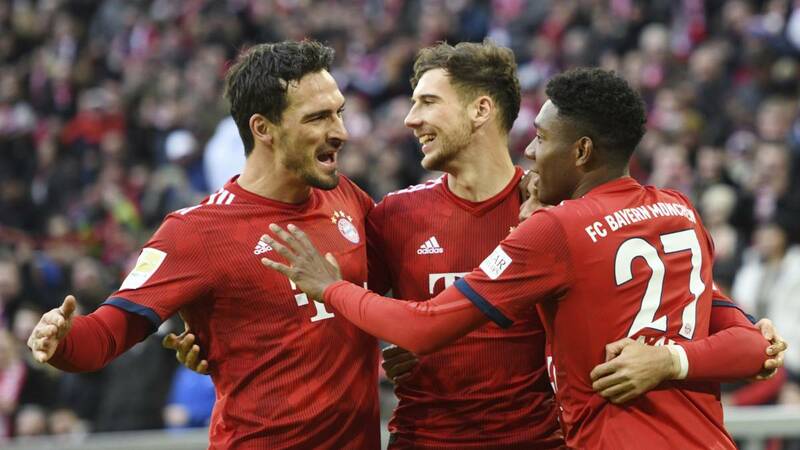 A day after Borussia's 5-1 win over Hannover allowed the leader to extend the Bundesliga lead to nine points over Bayern, the team led by Niko Kovac did not score, beat the Baden-Baden side. Württemberg for 4-1 and again set the difference of six points towards the table led by Lucien Favre. Seven minutes later, a close-range shot from the Greek was about to overtake his people, but there was Neuer. Aware that the salad bowl was missing, the people of Munich returned to the charge. Thiago and Coman put Stuttgart behind them to the test, and they were no longer able to free themselves from constant harassment. Kovac understood that he needed more overflowing and gave entrance to Gnabry that took only ten minutes to star in the play that returned to overtake Bayern. A shot from the German international was rejected by Gentner and ended at the bottom of the net (55 '). The thing did not end there. González almost returned to put the tables in a double shot that ended up crashing in Neuer and the stick. Lewandowski missed a penalty. And that's when the game broke completely. Constant turns and turns, suspense, fear. And when Bayern needed it the most, Goretzka appeared. After his double against Hoffenheim, the man of the moment in Munich reappeared to score the third of the head (71 ') and sentence the game. Lewandowski (84 ') put an end to a long-suffering afternoon, but that keeps Bayern alive in the fight for the title.